Earlier this year we witnessed people power in action with thousands of people signing the petition I set-up, actively lobbying Councillors to support my motions at Ards and North Down Borough Council and attending a packed Public Meeting in Holywood. Just a few days after we presented the Petition to the Northern Ireland Assembly the Minister performed a u-turn, halting the sale and announcing that “the Forest Service has now expressed a strong interest to NI Water in purchasing this site, therefore in line with guidance on the disposal of assets, sale on the open market will no longer be pursued while this interest is explored”. Whilst we all welcomed minister’s announcement little firm information on future plans has flowed to the public from either NI Water, Department for Regional Development or the Forest Service, despite repeated requests. 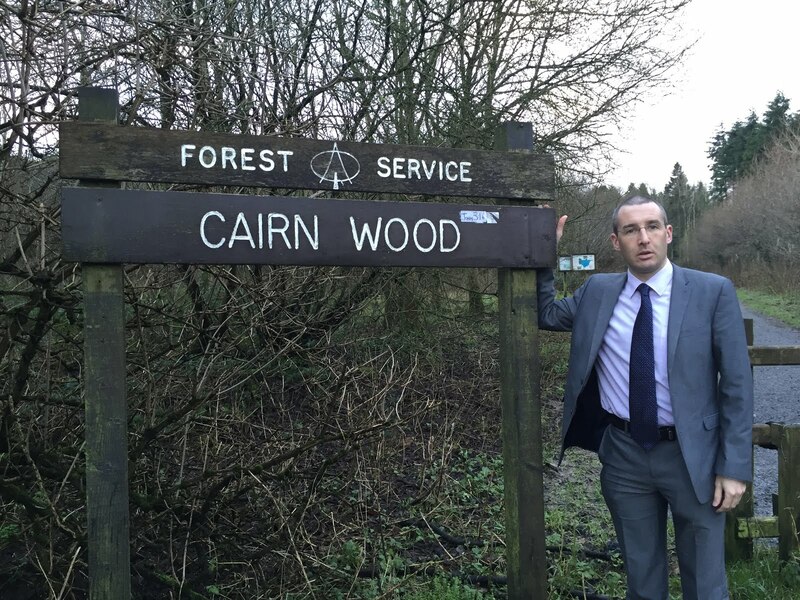 With my passion to secure Cairn Wood’s future undiminished I therefore submitted Freedom of Information requests to secure openness and transparency on the issue. The deadline for response was last Friday 27 April but unfortunately a decision has now been made to delay disclosure until after the election. The general public deserves better than disclosure of information being delayed and local groups now expressing disquiet over rumoured changes ahead. Information surfacing from local users about planned changes are concerning. If true they have the potential to bring to an end the tranquillity enjoyed for decades. I am shocked that such plans would be considered without full and proper engagement. Whilst the Council should work with Forest Service and others to save Cairn Wood it’s about time the public were told what exactly is planned. I will continue to work to secure the future of Cairn Wood in public hands, protected from inappropriate commercial development. Whether it’s meeting the Minister a few hours before she halted the sale, tabling motions and getting the petition to the floor of the Assembly, it’s been a privilege to be part of the campaign Together we’ve achieved so much to save the much loved Forest. With such momentum and strength of feeling I have no doubt we will succeed!